This entry was posted in Beauty, Christmas, Nature, Poetry, Seasons, Snow, Winter and tagged beauty, bells, children, nature, non-verbal communication, photography, poetry, silence, sleigh, snow, snow angels, speech, syllabic poem, winter, winter wonderland. Grazie, Antonio! I wish you a wonderful year filled with good things! Wonderful poem, you know how to tingle my imagination with your vivid descriptions! Happy New Year my friend! Thanks so much, Sandra! Happy New Year to you, too! The very best kind of year, for sure! Right back at ya, babe! That was worth reading just to discover icy syllables! 😉 Some forms of communication are more effective than others? Another beauty for us to take in, Melody! Thank you and God bless you and yours this new year! Aw, thanks so much, Debbie. Praying that the year to come will add to your storehouse of wisdom and character! 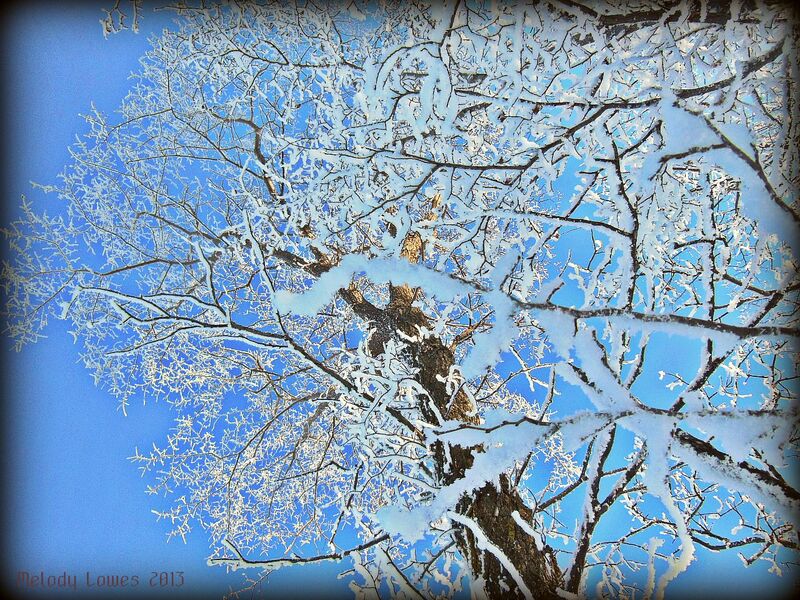 This one takes my breath away with icy wonder….beauty. Thanks Marcy! Praying your new year is filled with hugs and miracles, wisdom and awe, love and laughter, growth and blessings! Of course they are! 😉 Wishing you a healthy and wise year to come! Hugs back!! Happy New Year, Melody! We’ve got fresh snow here, today as well. I’m sitting with a good book, enjoying the candles I lit. Blessings to you! What a wonderful way to usher in a new year, Pam! I am itching sandfly bites – I’m covered with them!! Ugh! But a week in Jamaica was just what the doctor ordered. We had a wonderful time reconnecting with family in a gorgeous setting, being completely spoiled for a blissful week. Looking forward to a new year of adventure and growing – hope yours is a blessed and contented one! My son got sandfly bites when he vacationed in Savannah, GA years ago. You have my sympathy (slightly, considering you got to go to Jamaica!) Thanks for the good wishes for the new year. Thanks Heidi! I was down with a nasty flu – and recovered just in time to sneak away to Jamaica for Christmas – lucky, lucky me!!! I’m back, full of sandfly bites mind you – but relaxed and ready for a new year to begin! Happy New Year to you, too! so glad you had a relaxing time!!! looking forward to what you will be sharing with us in the new year! From Jamaica to snow? But you seem happy to be home. Happy New Year. Beautiful poem and love the photo too! Perfect that I clicked on this today because it’s snowing right now where I live. Happy New Year, Melody! Thanks Madilyn! Happy New Year to you, too! May you experience joy and hope as you continue to write of your experiences with passion!